Meghalaya's traditional and organic silk 'Ryndia' will be showcased along with the best of textiles from around the world at the London Fashion week as Khasi designer Rupert Lynrah showcases his designs later this week. Lynrah is presenting the traditional Khasi-Jaintia attire with a modern twist in the Spring/Summer 2017 show at the London Fashion week through his fashion house - RwL Designs. With many designers looking to catch the attendees' imagination during the London Fashion Week, Lynrah is sure that organic Ryndia will make an impact, as he is the only designer from the country to be showcasing his work at the show. "It's something that will catch an eye of the people, though I am going there with an open mind. As a designer, I would love to showcase my work to the public and I want the collection to be remembered by the people. "That being said, it's just an honour to promote the cultural traditions of Meghalaya through my work and I hope I do it justice," Lynrah said. 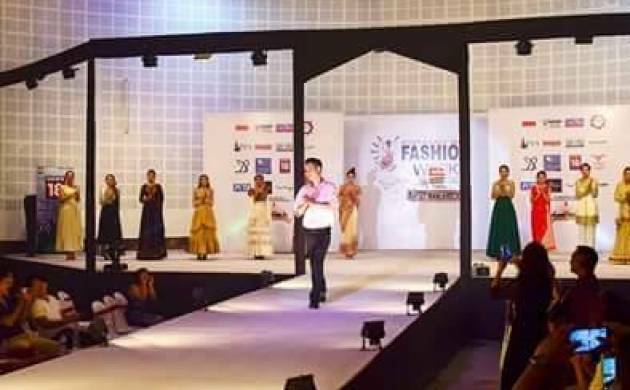 Elaborating on the Ryndia featured in his designs, the 37-year-old designer said, "Ryndia is our traditional indigenous textile that comes from a silkworm reared by rural people in Meghalaya. Ryndia is warm in winter and cool in summer, like a natural product is supposed to be." He said because of its rustic nature, Ryndia might look lifeless, but once the fabric is given a form and a twist with some overlay, like embroidery or some lace details, it can raise the value of the product.